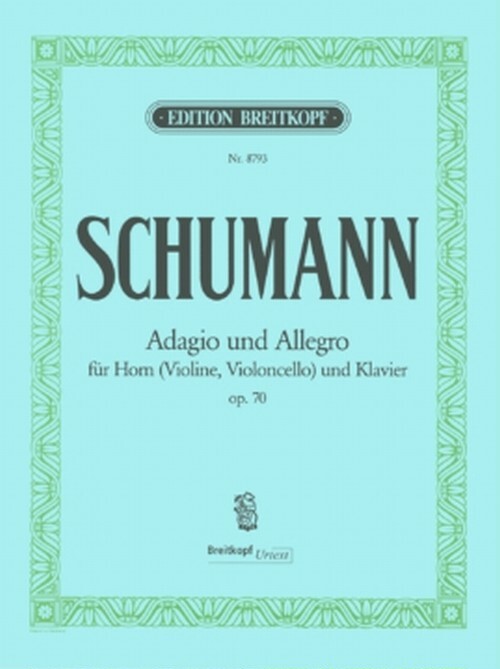 A work from Schumann's "most prolific" year, 1849, when the composer wrote a number of chamber works. Opus 70 has obviously become known above all in its extraordinary original scoring for horn and piano. Contemporaries praised the piece that showed "the inner workings of the soul" and the "truthfulness of the moods upon which it is based." 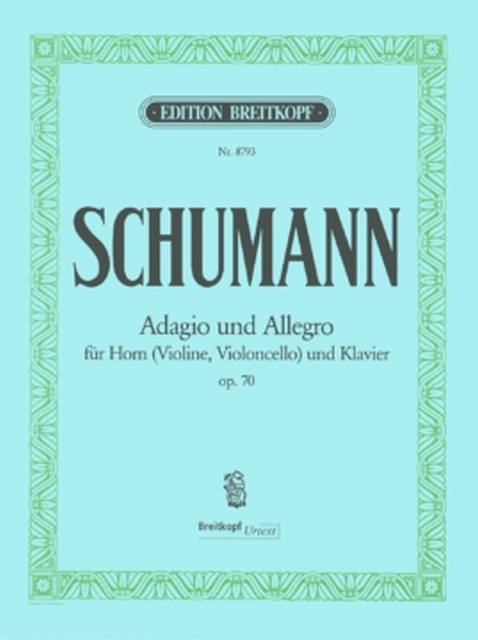 Since Schumann himself had alternative solo parts made for the cello and violin in order to heighten the work's appeal, the new edition contains three separate parts. Following an exhaustive comparison with the engraver's copy, the music text was based on the reliable first edition.